It’s a big moment for two of TV’s biggest comedies. Deadline reports the casts of both Modern Family and The Big Bang Theory are up for contract renegotiations soon. Modern Family is heading into its eighth season on ABC, while The Big Bang Theory premieres its 10th season on CBS this September. Both sitcoms are the highest rated comedy on their respective networks, with season seven of Modern Family earning an average rating of 2.56 in the 18-49 demo and a total of 7.918 million viewers. Meanwhile, season nine of The Big Bang Theory received an average rating of 3.73 in the 18-49 demo with a total of 15.212 million viewers. Contract negotiations for The Big Bang Theory are reportedly about to start. Earlier, star Kunal Nayyar said the entire cast wants at least another season of the CBS comedy. What do you think? Do you watch Modern Family and/or The Big Bang Theory? Do you want them to continue for more seasons? More about: ABC TV shows: canceled or renewed?, CBS TV shows: canceled or renewed?, Modern Family, Modern Family: canceled or renewed?, The Big Bang Theory, The Big Bang Theory: canceled or renewed? 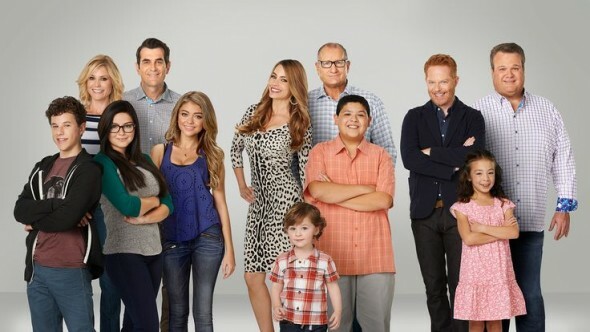 “Modern Family” is slipping. No longer that funny and the kids are no longer cute. With the exception of the actress that plays Haley the rest of the “Kids” are terrible. I am regular at the Big Bang theory; and want it to continue for another 5 seasons at least.